Visitors and citizens alike revel in Frederick’s abundant public artwork, recreational activities, and friendly atmosphere. And today, the Town of Frederick has a website that reflects the community’s distinct spirit and vision. 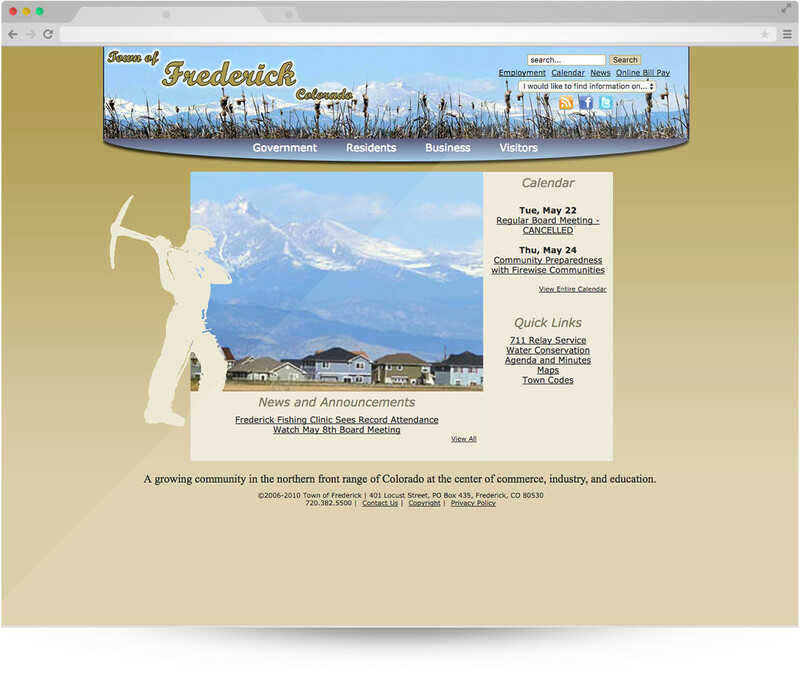 Despite having such a lively community, the Town of Frederick’s previous website was flat and lackluster. Using an out-of-the-box software solution created for developers, managing the site was a nightmare for town staff. Simple tasks took hours to complete. The system was complex and hard to navigate. Adding photos or videos bogged down the site. Content was often stale or buried too deep to find. 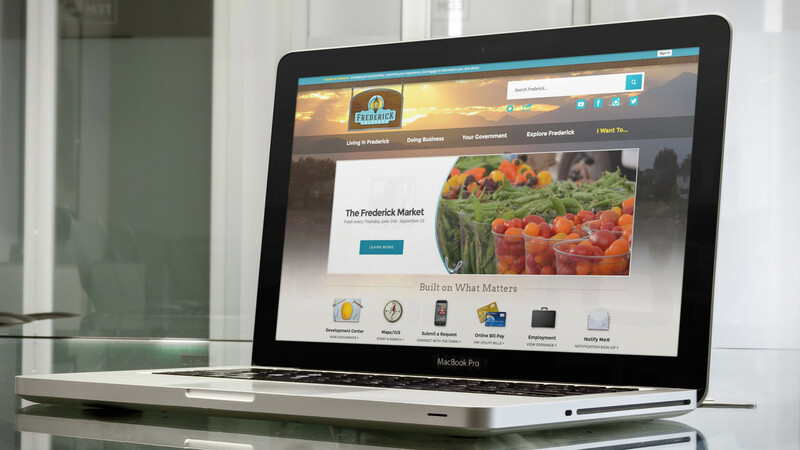 The Town of Frederick felt they were long overdue for a website that would enable them to communicate with citizens and keep their information fresh. All within a unique design that would make their community stand out. 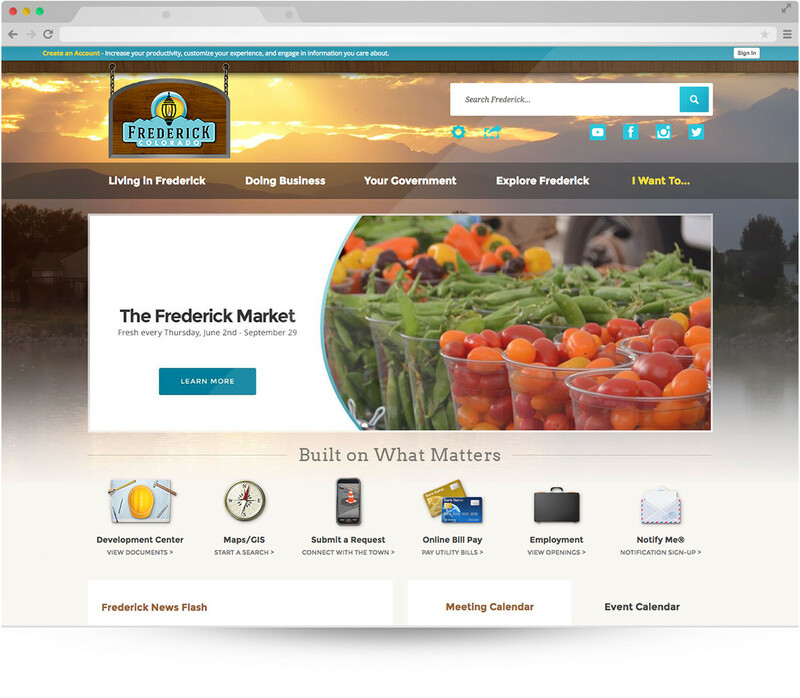 The Town of Frederick is no longer intimidated by its website. Residents and visitors feel invited in by the intuitive structure and vibrant design, while staff can easily make changes, add photos, or post updates from anywhere — allowing them to be available 24/7 to their citizens if needed. With a weekly electronic newsletter, the town is able to reach more people and keep them informed with timely stories. Residents are getting involved by reporting issues or concerns through the online tracking system. The website has also become a one-stop shop for developers and builders who use the Development Center — a feature that’s gotten a lot of positive feedback — to find out more about the town’s development process. More tools, more functionality, more engagement...the Town of Frederick can now truly do more with less. “The website has also become a one-stop shop for developers and builders who use the Development Center — a feature that’s gotten a lot of positive feedback. More tools, more functionality, more engagement...the Town of Frederick can now truly do more with less."